'What Did I Do That They Took Me From You?' – My son's time in care left him feeling like there was something wrong with him. 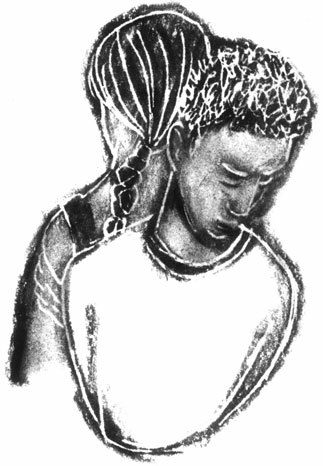 ‘What Did I Do That They Took Me From You?’ – My son’s time in care left him feeling like there was something wrong with him. My son came home from two years in foster care a scared, angry and confused 6-year-old. I kept telling myself that his fear, anger and confusion would all go away when life was “normal” again, but life never really got normal for us. I had already successfully raised three children when my youngest son was born. But my son’s father died unexpectedly when I was pregnant with my son, and my mother died just a few years later. I turned to drugs to deal with grief. When my son was little, we spent a lot of time together, going to the park and friends’ houses. But after my mother died, I became addicted, and then my addiction got out of control. For a year before they took my son from me, I isolated him in his room in front of the TV a lot and we stopped going out like we used to. After he went into care, we were lucky to have a great foster family that worked with us and stayed in our lives long after my son came home. But when my son was finally released to me, I had to help him not wince and hide every time someone knocked on the door, and I had to get used to the other changes in him: the occasional nightmares, the bed-wetting, his stealing, and his “little white lies” and defiance. As he got older, my son would steal from everyone: friends, family, strangers. He’d take money, and he’d also take anything he could “show off” with to friends. He’d lie about where he was, what he’d been up to, where he got stuff. In part, I think my son was testing me to see whether I really cared enough and was paying enough attention to stop him. But I also think the lies and defiance were his way of being in control. When he was removed from our home, he’d had no control. I think my son was looking for ways to prove to himself he could be the one to make choices—even if they were the wrong ones! When he defied me, my son also showed me that he didn’t trust me. I’d made some bad decisions in the past and maybe he wasn’t sure I could be trusted to make good ones. Even though my son tried to act big and tough, I also knew that inside he felt very small. One time some of my son’s classmates found out he’d been in care and they used that fact to taunt him. I know that, when my son was taunted, he felt like the time he’d spent in care was a black stain that people would never let us forget. The guilt I felt was unimaginable. I felt bad about the mistakes I’d made, and I felt even guiltier because my son seemed to think it had happened because there was something wrong with him. I always let him know I would be there to help when I could. Sometimes I would give him a push in the right direction or get someone else to help him. I think all that support made some difference, because when my son completed something, he would speak about himself in a more positive way. Still, by 16, my son’s anger was so much worse and he hated school so much. I was there for meetings two or three times a week because of all the cutting, fighting, and my son’s smart mouth. He had so much anger bottled up in him that he’d slam doors and even punch holes in my walls. If things didn’t go his way—he’d lose a job or just misplace his wallet—he would make a comment about the world conspiring against him. Finally, I allowed him to sign out of school and go to work because I was afraid that, otherwise, child welfare would come back into the picture. A positive change for my son finally came about a year ago, when he was 19. He found a sales job that he is good at. He was even promoted through the ranks from worker to area manager. Now my son is less angry than he used to be, and when he does get angry, he doesn’t use his fists. He has also stopped stealing. I think that’s because he has finally found a place where he feels like he’s good at things and he belongs. I often wonder which of my son’s problems came from him being in care and which ones I caused before he went into care. When child protective services came into my life, I wasn’t being the best mother to my son. Still, I always think about how he must have felt during those two years when I wasn’t there to hug him when he got hurt or even to kiss him good night. Right now, I am trying to get my son to move out on his own. I think he’s ready to be more independent, but he says he doesn’t want to leave because he doesn’t want to leave me alone. Sometimes, though, I wonder if he still feels that same fear he felt when he was a little boy and they took him from me.